EyeSight® driver assist is like your second pair of eyes, spotting potentially dangerous situations like cyclists up ahead. Our award-winning technology works by capturing 3D images through cameras on the front windscreen. If it sees anything that might be of danger, it warns you audibly, urging you to take action and brake. It automatically applies the brakes if you don’t. EyeSight® driver assist is available across the range on Liberty and selected Impreza, XV, WRX, Levorg, Forester and Outback models. How EyeSight® driver assist operates. When the driver becomes distracted or fatigued and does not react quickly to a potentially dangerous traffic situation, the EyeSight® driver assist system is designed to assist the driver to either avoid an accident or reduce the severity of frontal accidents. 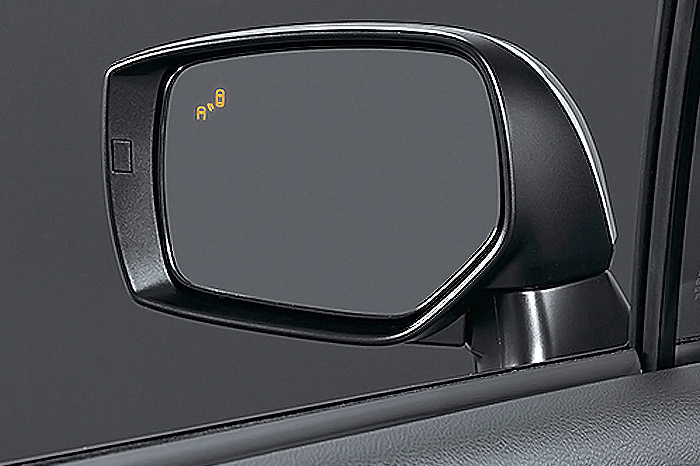 Provides automatic braking when EyeSight® driver assist detects a potential frontal impact. Pre-Collision Braking System provides automatic braking to help avoid or reduce the severity of detected frontal accident impacts. Should the driver be distracted or just not register the risk of a collision, braking will be automatically applied when a potential frontal collision is recognised by EyeSight® driver assist. Driver warning and braking assistance when EyeSight® driver assist detects a potential frontal impact. Pre-Collision Brake Assist recognises a potential frontal impact, alerts the driver and assists the driver by applying full braking force in a detected emergency-braking situation. Reduces acceleration when EyeSight® driver assist detects a potential impact. Pre-Collision Throttle Management reduces available acceleration in situations where the system detects objects in front of the vehicle that the vehicle is likely to impact. The engine output is restricted to reduce possible impact force and frontal impact damage, and to help prevent injury should the driver mistakenly accelerate when an object directly in front of the car is recognised by EyeSight® driver assist. Maintains a set speed and distance from a lead vehicle. 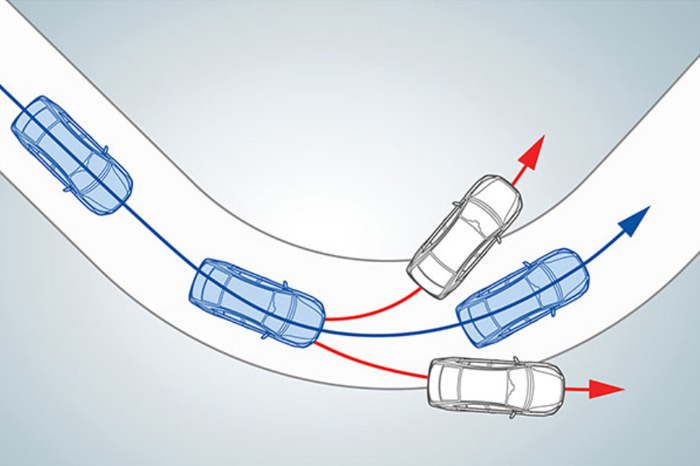 Adaptive Cruise Control maintains the speed set by the driver, but also regulates the vehicle’s speed in order to maintain a set distance from the car in front. The driver can select from three different distances, based on time and speed, and then the EyeSight® driver assist system will automatically use braking and monitoring technologies to regulate the vehicles speed in line with the traffic flow. Prompts the driver to take action when traffic has started moving again. Lead Vehicle Start Alert prompts the driver that the vehicle in front is moving away, after being stopped. This effectively alerts the driver, if their vehicle does not start moving, that the traffic ahead is moving again. Alerts the driver if their vehicle sways within or moves out of it's lane unintentionally. Lane Sway & Departure warning monitors the vehicle’s position within the road lane markings and sounds a warning to the driver when swaying within the lane is recognised by EyeSight® driver assist or when it recognises the potential for the vehicle to unintentionally move out of it's lane. Where all the controls and information can be found. To minimise driver distraction, the controls and information display of the EyeSight® driver assist system are primarily positioned on the steering wheel and displayed via the instrument panel. Featured on WRX Premium and WRX STI Premium, Liberty 2.5i Premium, Liberty 3.6R, Outback 2.5i Premium, Outback 2.0D Premium, Outback 3.6R, Impreza 2.0i-S models. If you’re reversing and a vehicle drives past behind you, you will receive an audible and visual warning. Perfect for Saturday morning shopping. Featured on WRX Premium, WRX STI Premium, Liberty 2.5i Premium, Liberty 3.6R, Outback 2.5i Premium, Outback 2.0D Premium, Outback 3.6R, Impreza 2.0i-S models. Featured on WRX Premium, WRX STI Premium, Liberty 2.5i Premium, Liberty 3.6R, Outback 2.5i Premium, Outback 2.0D Premium, Outback 3.6R. Hate the glare of night-time driving? When bright headlights fill your rear view mirror, the mirror will auto-dim to minimise the glare. If you’re approaching oncoming traffic at night, auto high beams will sense the road ahead and automatically switch to low beam. Featured on WRX Premium, WRX STI Premium, Liberty 2.5i Premium, Liberty 3.6R, Outback 2.5i Premium, Outback 2.0D Premium, Outback 3.6R, Impreza 2.0i-S models. While you’re reverse parking, side view monitor indicates the distance from the kerb or a parked vehicle. Perfect for guiding you into that parallel parking spot. Featured on WRX Premium and WRX STI Premium models. Manoeuvring back into a tight side street? Family driveway littered with toys? Reverse with confidence, thanks to our Rear View Camera technology. The rear view camera is like having eyes in the back of your head. Using a camera, it will scan the road behind you, and alert you if anything is in the way. This greatly improves your visibility and reduces the risk of bumps and scrapes. The horizontally-opposed Boxer engine may be a great performer – but it’s also better for safety too. We designed it to be compact, lightweight and low in height, for better handling and a lower centre of gravity. But that’s not all. Because it sits lower and flatter in the engine bay than traditional engines, if a severe frontal collision occurs, the Boxer engine will slide below the cabin – not through it. Its rearward movement and contact with the road surface also absorbs more impact energy, which contributes to the crumple zone action. Therefore reducing the risk of injury even more. Watch the video to see how the Boxer engine drives underneath the passenger safety cell. 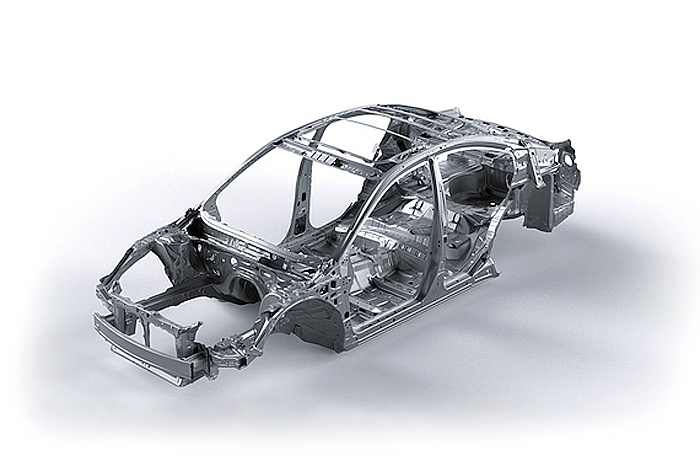 In case of an accident, we’ve designed a vehicle body that helps protect the passengers and minimises injury. Built to cater for diverse crash conditions, the Ring-Shaped Passenger Safety Cell will absorb and direct the impact of the force around the cabin, rather than through it. It is made up of many interlinked components, but basically consists of five ring-shaped frames to encircle and protect the occupants. It’s a bit like a roll cage in a motor sport vehicle. We designed the front and rear chassis rails to initially engage with the impacted object, and then to crumple and absorb the impact energy. Any remaining energy is then directed up into the reinforced ring-shaped frames, away from you and your passengers. Safety in a Subaru is never optional or dependent on cost. It’s the first thing we do. So our vehicles are all fitted with SRS airbags and restraint systems that work to protect you. All current Subaru vehicles feature as standard fitment dual front, side torso and curtain SRS airbags. They are designed to work as part of a total car safety package and are tuned to the total performance of the body structure. The timing of airbag deployment is critical in achieving the best protection possible. Front pretensioner seat belts work with SRS airbags to restrain the occupant quickly and minimise the difference in speed between the body and the vehicle. In an accident, the pretensioner seat belts initially tighten on the body, minimising forward movement. Then after the point of impact, some belt releases to progressively slow the body. 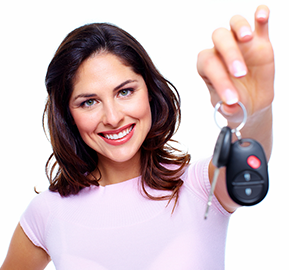 We were the first in Australia to offer a 5 star ANCAP safety rating1 on every car we sell. Solid proof of our steadfast commitment to keeping you safer than ever. 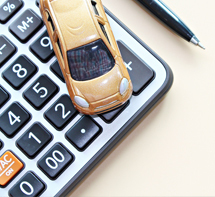 ANCAP is the Australasian New Car Assessment Program. An independent organisation, providing consumers with accurate information on occupant crash safety through a star rating system. The star rating system ranges from 1 to 5, with 5 being the highest score. The program is supported by the Australian Federal Government, Australian and New Zealand automobile clubs, the State Government Road and Transport authorities of NSW, Victoria, South Australia, Queensland, Tasmania, Western Australia, the New Zealand Government, the Victorian TAC, NRMA Insurance and the FIA Foundation. 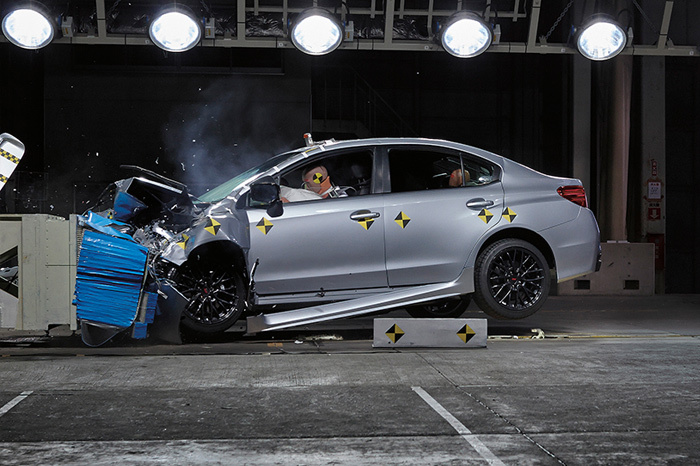 The ANCAP rating uses four internationally recognised crash tests; offset frontal, side impact, pedestrian and pole impact test. Sudden stopping. Surprise roadworks and hairpin turns. You can never predict what’s up ahead, whether you’re in suburban streets or extreme outback conditions. That’s why we’ve developed our electronic driver assist system called Vehicle Dynamics Control (VDC). Featuring a range of stability and braking technologies, VDC steps in to help prevent an accident. VDC contains an array of sensors that constantly analyse and assess the conditions, and take action when needed. Helps you gain control if you unexpectedly understeer or oversteer, by applying brakes, reducing engine power and distributing torque. Helps you minimise your wheel slip by reducing engine power. Helps you maintain control by transferring power from the wheels that slip to the wheels that grip. Helps you stay in control by minimising stopping distance and maintaining vehicle control under brakes. Helps keep you safe by controlling the braking pressure to the front and rear wheels all the time. Helps you in emergency situations by maximising stopping power. 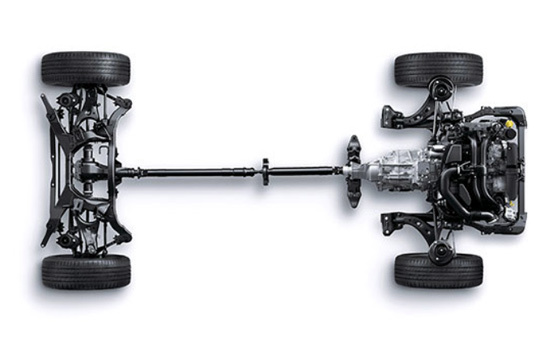 Only in a Subaru do you have the confidence of the Symmetrical All-Wheel Drive (SAWD) system. Rather than a 2WD or a 4WD, we engineer our vehicles so that the engine power delivers to all four wheels simultaneously. This means double the grip capacity for better cornering and acceleration. Greater control and confidence for a much safer drive. This is why every one of our vehicles – excluding the Subaru BRZ – engages all four wheels, all the time. Watch the video to see how immediate drive power to all four wheels makes for a safer drive.